In Australia, a college does not always refer to a place of teaching. For instance, our college – Robert Menzies College (RMC) is solely residential; like many other colleges around Australia, its only purpose is to house students. Both secular and religiously affiliated colleges have had a place in the Australian university system. Additionally, housing colleges may or may not be owned by their host university. 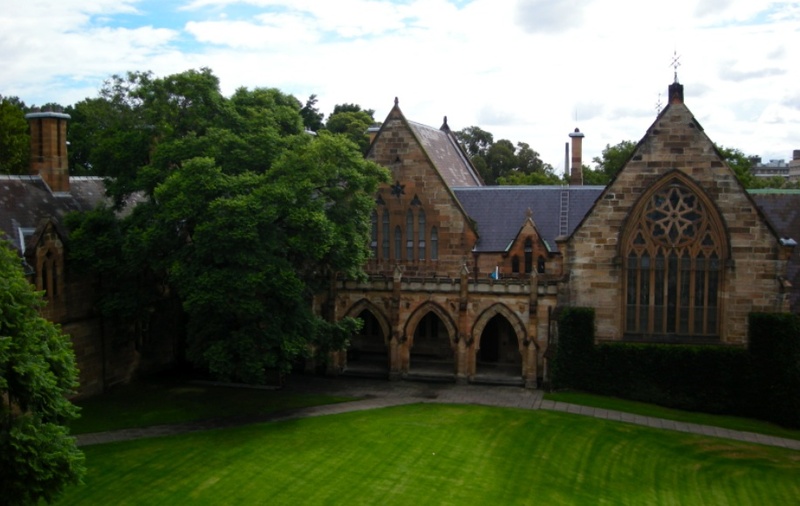 St Paul’s College, the first residential college in Australia, was founded in 1856 at Sydney University. Like many of the first residential colleges in the country, it was a religious college. As Ian Walker (2016, p. 3) notes of the time period, “what emerged was a public secular university containing collegiate forms of the churches.” Universities were meant to be regulated by secular principles, and the idea of religious colleges were unsettling for most in the academic environment. This led to the denominational colleges being separate entities from the universities; they became affiliative. The development of these colleges modelled those of the UK. World War II fostered nationalism and a push for social planning. And as Robert Menzies later noted “the Second World War brought about great social changes. In the eye of the future observer, the greatest may well prove to be in the field of higher education” (Walker 2016, p. 5). In 1958, the Menzies government commissioned the Murray Report tasked to look into Australian universities. The report “gave strong support to the role played by the residential colleges and included them in triennial funding arrangements for university capital works, to be approved and allocated by the Australia Universities Commission” (Walker 2016, p. 5). From the late 1950s to the mid-1970s, there was a significant increase in demand for university accommodation. This period has been considered the ‘golden era’ for government funding of universities and their colleges and halls. Controversially, Sir Robert Menzies, Prime Minister at the time, pushed for equal funding of secular and faith-based colleges alike. It was during this era that the religiously-affiliated Robert Menzies College was established. Named after Robert Menzies because of his emphasis on academic achievement, the importance of the college community and experience, and the necessity for equal treatment of religious and non-religious university residences. Bringing us to the present, the period between 1991 and 2014 saw student enrolment in Australian institutions increase from approximately 520,000 to 1.3 million (Walker 2016, p. 9). Accordingly, the international student population grew significantly, and continues to grow today. The development of this industry, guided by the profits to be made, has led to the commercialisation of the college experience. Residential providers in today’s market undertake the challenge of balancing profit with the communal experience that is so important in a student’s university life. yes i agree with your this point From the late 1950s to the mid-1970s, there was a significant increase in demand for university accommodation. This period has been considered the ‘golden era’ for government funding of universities and their colleges and halls.